All good things must come to an end and BIMS 2018 is no exception. The team is now back from the Sunshine State and with heaps of pride from their participation in the Summit. This is not our first BIMS rodeo, so to speak, but this year was special because we had a lot to talk about. Тhe 5th edition of the conference gave us good opportunities to share our expertise — our know-how and industry insight earned us not one, but two speaker slots, where we shared the knowledge accumulated in this past year, and exchanged ideas with professionals on both sides of the media and business intelligence spectrum. 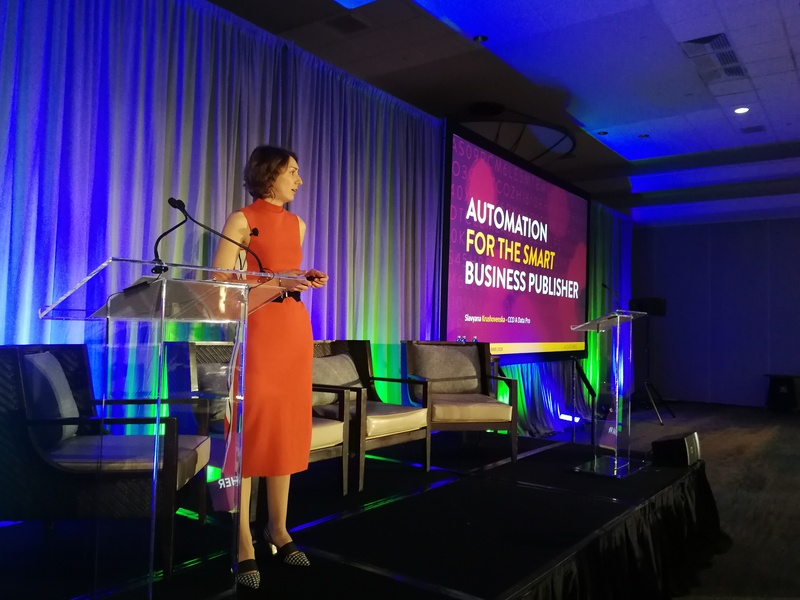 Our presentations were centered on the work we did for business publishers and media companies, demonstrating our automatic text generation capabilities and keeping humans in the machine learning loop, in light of the automation surge in the media industry in recent years. 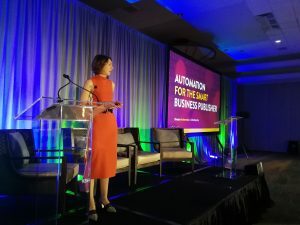 Slavyana Krushovenska and Vladimir Petkov, CCO and CTO of A Data Pro, respectively, were the team members that took on the challenging task of speaking in front of a full conference hall, but no two people could do it better. Slavyana’s five-minute blitz presentation at the BIMS 2018 TechFlash, which demonstrated our automation and AI capabilities for the smart business publisher, was a huge success and the best possible warm-up for Vladimir’s presentation. 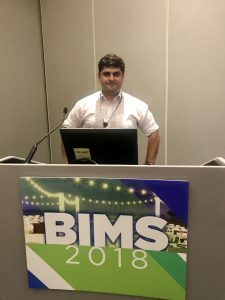 In his presentation on the third day of BIMS 2018, during the “Leveraging AI and Machine Learning to Create Competitive Advantage” session, Vladimir gave a full overview of all our tech capabilities and most advanced solutions, backing them up with a case study from our previous work for one of our business intelligence partners in Southeast Europe. The response to his presentation from attendees spoke for itself — the feedback was very positive and potential partners approached us to know more and get more. We want to thank the organizers at the Software Information and Industry Association (SIIA), who once again did an excellent job at organising BIMS and assisted us before, during and after the conference. 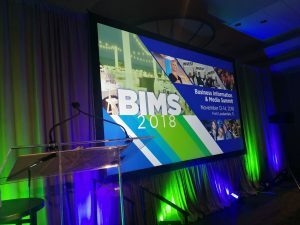 Thank you and see you next year at the Margaritaville Hollywood Beach Resort for BIMS 2019!